Prash the Panther: South Adelaide's Harmony Ambassador, Prashanth Magandram takes in the surroundings at Hickinbotham Oval. South Adelaide are pleased to welcome Prashanth Magandram as the club's Harmony Ambassador for the upcoming SANFL Multicultural Month in June. In the month of June, the SANFL will be celebrating the diversity within our game as each club hosts a Multicultural Round. The Panthers focus will be on their June 4th clash with Port Adelaide at Hickinbotham Oval. To assist with the celebrations, each SANFL club has been appointed a Harmony Ambassador to help with coordinating multicultural festivities on the day and connect with their local multicultural communities leading into the match. "We are delighted to welcome Prash into the fold at South Adelaide," said South Adelaide Media and Marketing Manager, Matt Sampson. "Engaging with multicultural communities is not only key to growing football in the south, but across the entire SANFL. "Prash brings with him some excellent experience working in the multicultural space and has already gotten the ball rolling on some exciting initiatives for our game against the Magpies." On the day, Panthers fans can enjoy some unique multicultural performances and entertainment, henna painting, multicultural food offerings and more. Stay tuned to the club's social media for more updates. G'day! 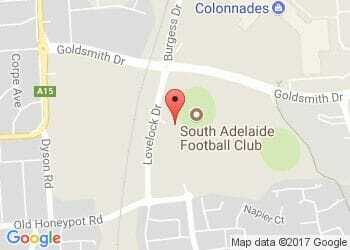 My name is Prash and I am the proud Harmony Ambassador for South Adelaide Football Club! I am Malaysian student who is currently studying a Graduate Diploma in Strategic Leadership in Adelaide. Coming from a multicultural country and now living in another one (Australia), has made my passion grow for cross cultural integration immensely and I relish in collaboration efforts with various departments. I have experience in initiatives and spreading the love for cultural diversity as I was the International Officer for Flinders University Student Association (FUSA) and successfully organised the FUSA Multicultural Festival 2016. I am currently the National Welfare Officer for Council of International Students Australia (CISA). If you believe you can assist us in ensuring South Adelaide's Multicultural Round celebrations on the 4th of June at Hickinbotham Oval are the best in South Australia, please feel free to contact me through my email (prashanth0031@gmail.com) or contact the club on 8186 8200. Hope to hear from you soon. Go Panthers!